Man, imagine what I’d write if they paid me to shill for them. Still enjoying the DC Universe streaming service…well, I’d better, I’m paid up for a year plus those extra three months. I particularly like the DC Daily show, updated every weekday, which (aside from the extra-long first episode) is about 15 to 20 minutes split across three separately-streaming segments: an opening bit with DC News of the Day (promos for newly released comics, media news, what’s new or of note on the service), a second segement that I guess will be for special features (like this week, three of the segments were devoted to a George Perez interview about his DC work), and a third roundtable segment, where the various DC Daily cast members discuss a topic (generally regarding a comic or movie/TV show available on the service, like the pilot for the ’90s Flash TV series). It’s light and fun and an enjoyable enough way to spend a few minutes while, say, winding down after a long day of work at the comic shop office. That was a long-ish paragraph, so here’s a new one. 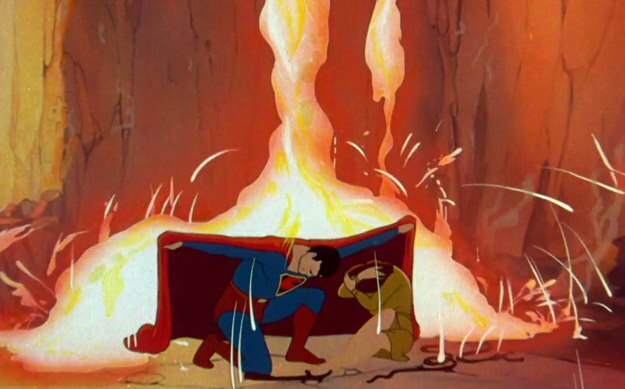 The other thing I’ve been watching has been the Fleischer Superman cartoons of the 1940s. I’ve seen a handful of the old DVDs that collected them together over the years, and wasn’t terribly impressed with the presentation. I think an eventual release did do right by them, but after being burned a couple of times, I never did get around to checking out any later releases. …while another I watched, “Showdown,” had some light damage to the print, but still very nice looking and perfectly watchable. I look forward to perusing the rest of them as time permits…well, maybe not looking forward so much to “Japoteurs,” because…well, it was wartime an’ all, but hooboy. …but everything’s workin’ fine though the TV streaming. Sorry, didn’t mean to be a commercial to DC Universe, available at only $7.99 a month, try it today, but I have been enjoying it quite a bit, even with the occasional glitch. And of course I’m greatly anticipating the Swamp Thing live-action series coming next year…as well as Doom Patrol , with…Timothy Dalton as the Chief? Iin full beard? Fighting the Beard Hunter? Well, okay, I don’t know about that last bit for sure, but c’mon DC, justify my subscription costs. 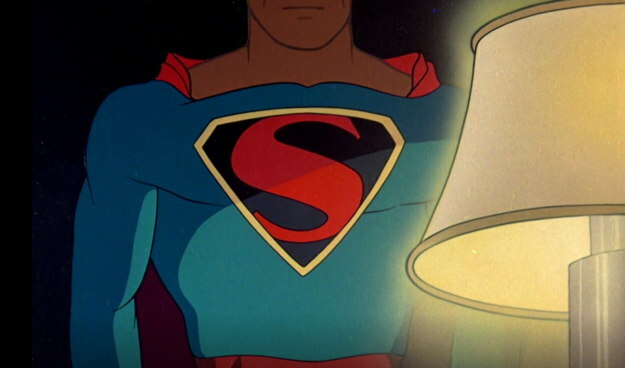 So aside from all that, let me ask you this: wouldn’t you like to see Superman sporting this style of chest emblem again? Rhetorical question; of course you would. Only time will tell, of course, but your prediction that Robotman will be shown mostly in human disguise seems likely to be wrong. That, anyway, is how I interpret the news that Brendan Fraser will be supplying the character’s voice (and playing Cliff Steele in flashbacks). 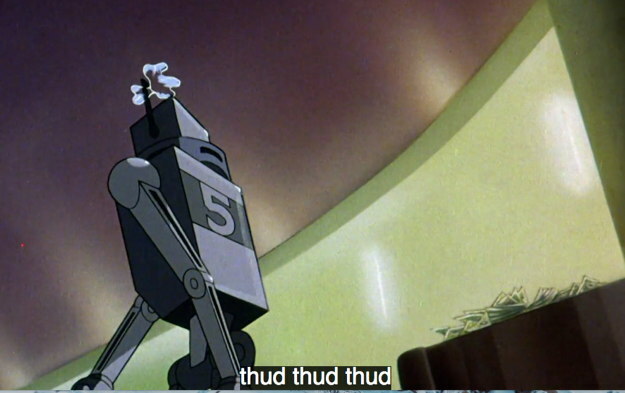 That suggests either a CGI Robotman, or a stuntman in some sort of armor; dubbing Fraser’s voice onto a regular actor would just be weird. It looks like these Fleischer cartoons are even better than the ones included in the 2007 Superman Collection Blu-ray set.